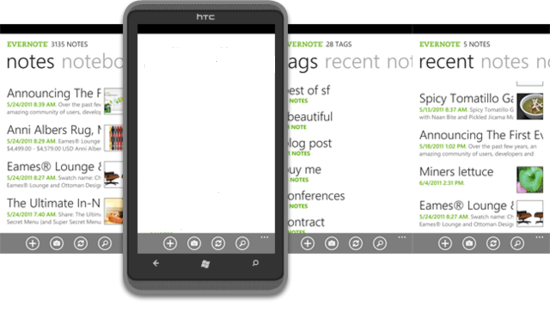 Since Evernote for WP7 appeared on the scene yesterday, there have been reports of a bug that causes a white screen that locks the application up. This will apparently happen after installing Evernote on some devices, then pressing the "Sign in" button. And while it is both expected and disappointing that any highly-anticipated app has bugs in its initial release, it is good to know that a workaround has already been found. If you make it to the point where you can log in and create notes, then you can safely turn off Airplane Mode and continue living your newly-organized life. UPDATE: According to one of our readers, you do not actually need to turn on Airplane Mode, nor uninstall the application. If you can connect to a wireless network, log in, and do the initial sync, then you should be good to go. Thanks for the tip, da4thrza!